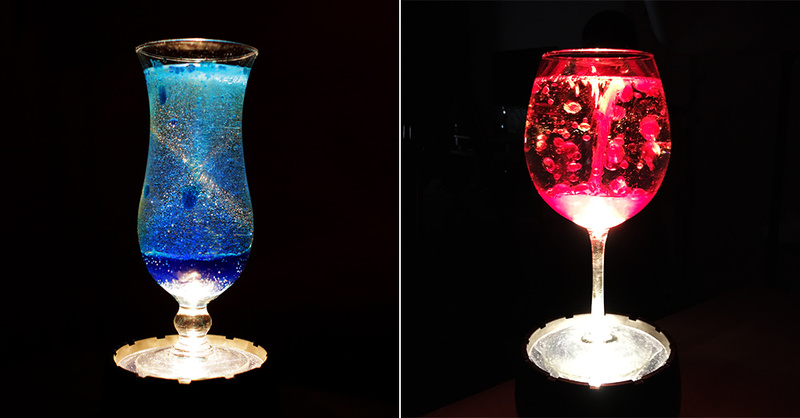 See how to make these easy Glass or jar lava lamps with some common kitchen ingredients and glitter for some extra sparkly fun! Lava lamps are the groovy colorful lamps you remember seeing as a kid and there’s a super easy way to replicate the look at a home that makes them fun for kids and a cool science experiment to boot. 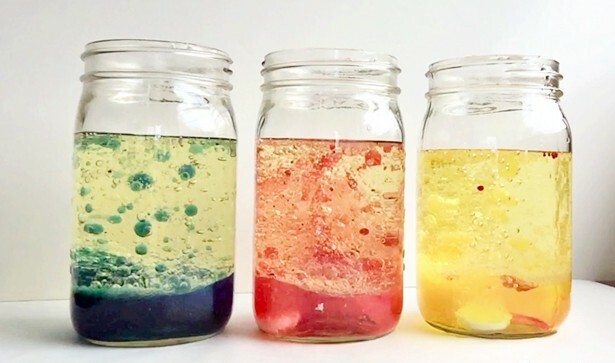 Tall glass container, Water, Food coloring, Vegetable oil, Large flashlight, Sparkles, Antacid tablets (the ones that bubble when in contact with liquids, like Alka-Seltzer tablets. Tums will not work). Fill about 1/3 of your jars or glasses with water. Add vegetable oil leaving some room at the top to make sure the mixture doesn’t bubble over.